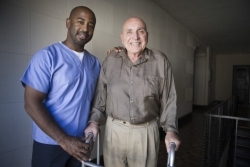 For our clients with mobility difficulties due to old age or physical disability, Western Slope in Home Care would be happy to provide safety and stability assistance while still allowing them to be as independent as possible. For a comprehensive assessment, we encourage you to Set an Appointment now. For other inquiries, please contact us at 1-855-204-0369 / 970-878-7008 for assistance. Get in touch with us through the details provided below.